Living in Palermo Soho has more than its fair share of advantages. The top-quality restaurants, charming cafes, fashionable boutiques, tree-lined cobblestoned streets, and its laid back environment make it an attractive barrio for porteños and tourists alike. While popular hotspots Burger Joint and La Cabrera are always teeming with tourists, La Choza is a stalwart for porteños looking for a homely yet refined parrilla dinner. I ate at La Choza on my second day in Buenos Aires, when my knowledge of Spanish was limited to hola and no hablos espanol. Though the waitstaff did not know English and I didn’t know Spanish, the service was excellent. The server recommended an excellent Malbec which perfectly complimented the Bife de Lomo which my Airbnb host, Luba told me to order. 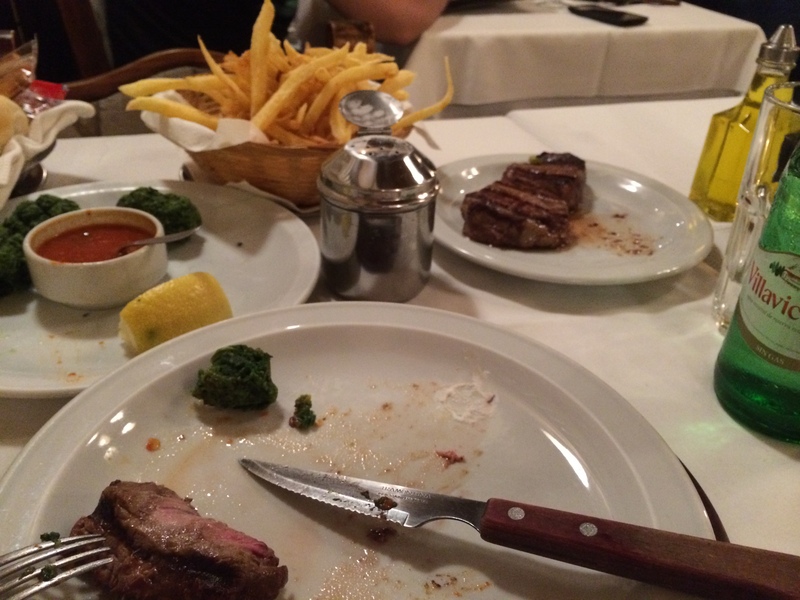 I also ordered Spinach fritters and a serving of fries (it would be sacrilege to not order steak and fries at my first parrilla experience) which was a lot of food for one person, but a very enjoyable experience. The restaurant had a large selection of postres, from the customary chocolate volcan to lemon meringue pie, which is also very popular here in Argentina. Since I usually go for chocolate, I ordered the lemon meringue pie and am so glad I did. Tarty and sweet, it was the perfect conclusion to an extraordinary meal. 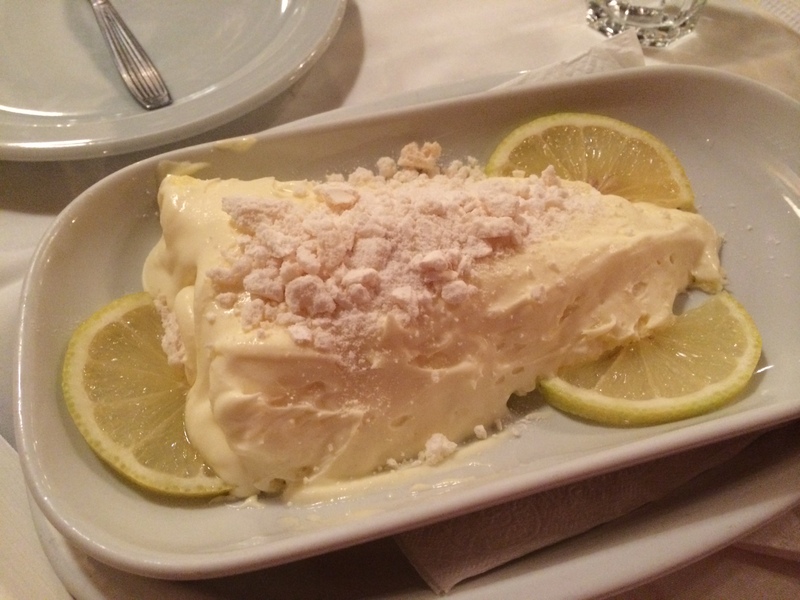 I was so excited to see a picture of THE BEST lemon pavlova/meringue my husband and I have ever tasted. We had 2 wonderful meals at La Choza. The food, service, atmosphere, and wine were all wonderful! I highly recommend La Choza to everyone who is in the area.